To follow up, I searched for the phrase "small manageable tasks". I found the following: Roy Johnson's 1993 book on Revisions and Examinations: Guidance Notes for Students, p. 31 advises students to "break down"" their work into "small manageable tasks" because that would give students more confidence. Barron's Guide to Medical & Dental Schools also suggests this approach and then gives the advice to "solve the small tasks in a prioritized manner." The popular book on Managing Your Mind (Oxford: Oxford University Press, 1995) speaks of the "Salami technique", meaning that you "set yourself small manageable tasks so that by progressing through them you will eventually accomplish the large task." And the phrase "to divide the plan into small, manageable tasks" is more frequent after 1995. Thus Peter A. Darnell advises programmers in 1996 to use "stepwise refinement" or to "divide a large problem into small, manageable tasks." The first time I encountered the phrase was in a 1970 book on C-System Principles of Operations. In other words, it looks even less likely that the passage: "The secret of getting ahead is getting started. The secret of getting started is breaking your complex overwhelming tasks into small manageable tasks, and then starting on the first one.” is a genuine quote. Most people will probably not be bothered by the pretense of attributing the passage to a famous author. I am! I agree it's a nice quote. I guess it speaks to what people mean by "granularity" these days. But I was interested in knowing where and when Twain made the claim. So I tried to find its source. I failed. The earliest quotes are from the late 1990s. It really seems to have been helped along by David Allen's Getting Things Done of 2001 (who "quoted" the passage on p. 249). I am beginning to think that it is a spurious quote, uncritically passed on by author after author. The earliest instance of the quotation on the Internet I can find is from Mark Fisher, Marc Allen, How to Think Like a Millionaire (1998), p. 23. See also Mark Allen, A Visionary Life: Conversations on Personal and Planetary Evolution (1998), p. 46. I could be wrong, of course. In any case, if anyone knows whether and, more importantly, where Twain said this, I would be grateful for telling me. 1. A Search with the parameters March 5, 1990 to March 5, 2001 turns up nothing earlier (which may just indicate the limits of the Internet). 2. What is interesting in that book is that the "quote" actually occurs within a dialogue, in which someone named "Bernie" talks about "long-term goals" and says "Mark Twain put it so simply and clearly," and then gives the quotation. Bernie seems to be Allen's figment of the imagination. And it is perhaps O.K. that such an imaginary figment produces an imaginary quote by Twain. What is not O.K. is that others have taken it for the real thing (if this is indeed what happened). He himself also does this in The Millionaire Course: A Visionary Plan for Creating the Life of Your Dreams of 2003. I hope I do not have to add how distasteful I find his "visions" of millions dancing in his head. Well, this morning the Neo Alphasmart and the iPad Mini would not pair any longer. The Problem seems to be with the Alphasmart rather than with the iPad, as it just goes to the file and does not recognise the iPad Mini (though it could also be that there is something on the device that blocks the signal from the USB port). But whatever may be the reason, it did not work this morning. Too bad. 3/27/2013: It works again. It seems that the iPad is particular about the order in which you connect the Alphasmart. In other words, you have to hook up the USB hub first and only then connect the Alphasmart. Furthermore, not every USB Port on the hub works. No idea why, but I tested it several times (and one does not work, the other does). There is a nice post on how the iPad Min can (or cannot) be used for information management on Welcome to Sherwood. I agree with most of the observations, though I am perhaps less negative. The reason for this is that I never expected as much from this device as the blog's author. I mainly use it on the "T", commuting almost every work day. It's much better than the original iPad for this purpose because it is so much smaller. Noted is an online outliner. It "supports a subset of Markdown for formatting" text. The notes are saved on the developer's server. However, if this server is down, they can still be accessed and exported to Dropbox. It looks interesting. 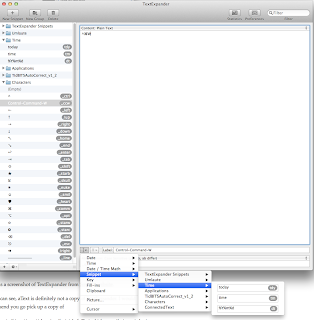 It will compete with Workflowy and the new online outliner by David Winer, called Little Outliner. It works very much like Thinktank, his first outliner. Little Outliner saves files in OPML locally on your computer. However, there is no way to access these files without the Web Application itself. It also looks interesting. Ther is now a dearth of online outline applications. What I like most about them is that they are all one-pane outliners. Since I am leery about Web applications, I will not use any for serious work. I'd just wish that there were some windows applications like this to use on the desktop. I hooked up today my iPad Mini to my Alphasmrt, using the Lightning USB Camera Adapter, and an unpowered USB hub (as described on other sites on the Internet). iOS protested that the adapter did not have enough power (and that it was an incompatible device). But, you know what, it worked anyway. I could use the Alphasmart as a keyboard, and I could send files to the iPad mini in the same way as I can send them to other computers. There was one glitch. Connecting up the Alphasmart installed and used an Arabic Keyboard. I had to manually reset it to English. 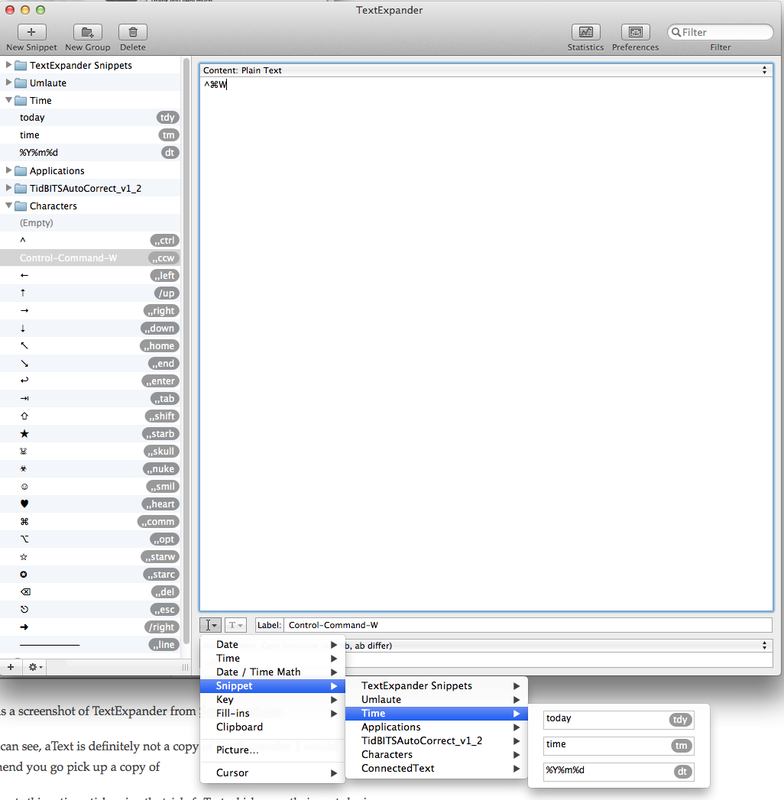 and then concludes: As you can see, aText is definitely not a copy of TextExpander. The similarity is striking. It goes to show exactly the opposite of what the author of this blog wants you to believe. I have, in fact, never seen a lamer "argument" than the one perpetrated by this person. It reeks of dishonesty. I have talked about aText before. Roland Barthes said in an interview in 1973: "As for the sacred outline, I admit having sacrificed at its altars during a certain period in the beginning of semiology. Since then there has been that whole movement challenging the thesis and its format." The dissertation or thesis was, he thought, "oppressive, not to say repressive" just because it consisted of "constraints brought to bear on students by "the myth of the outline" and syllogistic reasoning. These were the reasons why he opted for "an aleatory cutting-up, a découpage (into what I call "miniatures"), or the production of "texts [in the form] of fragments," replacing "logic with chance," albeit in the sense of "controlled accident" as present in "certain Zen-definitions." In other words, he decided that he was "(provisionally) in favor of discontinuous writing" (182). Since I did not undergo a French university education, I cannot say how justified Barthes' firm coupling of outlines and syllogistic reasoning was subjectively speaking. But even if it were justified biographically or autobiographically for French students of a certain generation to make this connection, there is no necessary relation between these two approaches You can reject Aristotelian logic while holding on to outlines and vice versa. In fact, it appears that at first outlines were developed by thinkers who were questioning the value of syllogistic reasoning (like Ramon Llull). Nor do I believe that outlines and fragmentary writing need be viewed as excluding each other. It is possible to concentrate (provisionally) on short texts and discontinuous writing while still reserving the right to create an outline later. As Barthes notes himself in another interview: "Proust spent half his life producing only fragments, and then, all at once in 1909, he began creating that oceanic flood, Remembrance of things Past" (329). It appears that late in his life he intended to overcome fragmentary writing. 1. Roland Barthes, Against the Grain of the Voice. Interviews 1962-1980. Tr. Linda Coverdale (Berkeley and Los Angeles: Hill and Wang University of California Press), 181. 2. See History of Outlining and Outlines and Meshes. For other posts on Barthes, see here. I am well aware of the limitation of such data. 1. I am grateful to James Schmidt and his blog Persistent Enlightenment for calling my attention to this tool. George Steiner notes at one point in his Errata, an Examined Life (Yale: Yale University Press, 1998) that "Lists are tedious. They prove nothing." It is difficult to disagree with the second point, unless, perhaps, you are Umberto Eco or lack basic training in logic. Some people make lists of the failings of others to "prove" that they fall short of some mark. The first point seems less true. Certainly, list can (and often are) tedious, but they do not need to be. In any case, nowadays lists seem to be just the beginning for outlines, narratives and more sophisticated arguments. The German Literary Archive in Marbach has organized an exhibition called Zettelkästen. Maschinen der Phantasie«. It is to celebrate Jean Paul's 250th birthday. This is, to say the least, misleading, as Jean Paul himself did not use the Zettelkasten method at all. Though he did make fun of this approach in one of his novels (Leben des Quintus Fixlein aus fünfzehn Zettelkästen gezogen; nebst einem Mußteil und einigen Jus de tablette), he used to write down his notes and thoughts in notebooks, most definitely not on slips or card. To call him "the poetic father of the Zettelkastenmethodik" is an irresponsible obfuscation. Jean Paul refers to Moser as his source for the method he caricatures in his work. The 12,000 unbound pages of manuscripts that are extant do not amount to a card index either. That being said, the exhibition looks interesting, and I wish I could attend it. I have never seen myself he card indexes of Arno Schmidt, Walter Kempowski, Hans Blumenberg, Friedrich Kittler, Niklas Luhmann and Aby Warburg. 1. "Steht es dir denn nicht frei, wie H. von Moser zu arbeiten (der Gevatter und Vorläufer deiner Zettelkästen), der in seinem Leben keinen zusammenhängenden Bogen geschrieben, sondern nur Aphorismen, Gnomen, Apophthegmen, kurz nichts als Flechtwerk?" Ich mußte mir recht geben und fuhr demnach bandfrei wie gute Klaviere und in »sententii» magistralibus«, ohne andere Verbindungen und Bastpflanzen als denen auf dem Rabenstein so fort in der Vorrede zur zweiten Auflage, ...."
goes over his cards, some aspects of the reality recorded there interest him more, others less, some are retained, others forgotten; some have the power to start a new train of thought; some appear to be casually [read causally] connected; some logically connected; some are without perceptible connection of any sort. And the reason is simple: some facts strike the mind as suggestive, have a meaning of some sort, lead to some desirable end, because they associate themselves with ideas already in the mind. they fit in somehow to the ordered experience of the historian. This original synthesis—not to be confused with the making of a book for the printer ... is only half deliberate. It is accomplished almost automatically. The mind will´ select and discriminate from the very beginning. It is the whole 'apperceptive mass' that does the business, seizing upon this or that new impression and building it into its own growing content ... the process is continued, for years it may be ... the original concepts which give character to the entire synthesis were contributed, not be the facts of the sixteenth century, but by the facts of the twentieth century (534). It is the dominant ideas of the historian that act as "centers of attraction" of other ideas, not the supposed facts of the historical record. I am here not interested in the claim that historical facts are no basic units of historical inquiry, but rather in the practical implications of his method for today. Most of us no longer work with index card or slips, but with electronic tools of some kind or other. Some of these work with massive quantities of text and the algorithms used need not be the idea of the person who uses them. The "centers of attraction" and "the apperceptive mass" seems to be just as much determined by the program you use. Therefore, serendipity or unexpected discoveries seem to play a much larger role than they may have played in the past. Though it also appears to me that Becker's description is exactly opposed to Luhmann's method which did not involve much "thumbing of cards," but rather careful cross-referencing. This method is closer to what electronic media seem to enable us to do. Therefore it might be argued that electronic tools are more of the same. It might of course, also be claimed that these two methods just appear to be different. Cross referencing may be more of front-loading the effort, while "thumbing" comes at the end. Yet, just as the selection of what to record presupposes some idea of an end so does cross-referencing. And what is experienced as serendipitous discovery may just be a re-discovery of what we forgot long ago. And this also might have consequences for how we understand what electronic tools allow us to do. This is something on which I have no settled view as yet. Reading some of the reports on Barnes and Noble and their Nook suggests that the platform is not doing very well and will be abandoned. See here and yy and here, for instance. I don't understand why they made no attempt to improve the user interface, like allowing you actually to save your notes and highlights (as the Kindle allows you to do) and allowing the Amazon Android application to run on the new models. A slight drop in e-book prices might also have helped. Given the fact that neither seems to be in the future, it will go the way of the eight-track, I fear. I have retired the newest Nook and bought an iPad Mini because it allows me to read all kinds of e-books and then some. Had the Nook allowed me to do that, I would not have bought Mini. Perhaps the writing was on the wall when Andy Lee, President at Microsoft announced in October: “NOOK Media is a leader in developing the next generation of digital reading and we look forward to the company bringing one of the world’s largest digital libraries to Windows 8 devices via their upcoming Windows 8 app.” When they were “also excited by NOOK Media’s product roadmap and expansion into markets around the world as demonstrated by their recent launches in the United Kingdom” I should have known that the end was near.